HALIFAX, NS – Garrison Brewing has announced the upcoming opening of a new taproom and pilot brewery in the west end of Halifax. 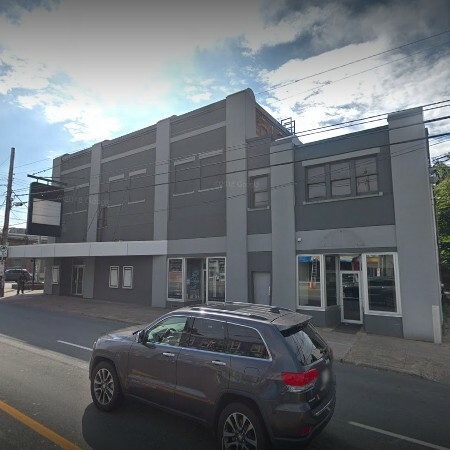 The Oxford will be located in a space on Quinpool Road that was previously a beauty salon attached to The Oxford Theatre, a historic cinema that closed in 2017 and is currently being renovated for future use. With its vintage, speakeasy vibe and classic cinematic elements, the taproom space will evoke the Oxford Theatres important past. Exposed brick, 14’ wood ceilings and vintage subway tile will add character to a small test brewery and wide range of locally crafted Garrison beer and cider. The Oxford will include a taproom, retail store, backyard terrace, and community space on the second floor. Light snacks will be available, and patrons will be welcome to order in food from other local restaurants. The Oxford is planned to open this spring at 6418 Quinpool Road. For updates, watch the social media feeds.